This was written at the request of Dale Davis, Executive Director of the Association for Teaching Artists. How do you build and sustain a career as a Teaching Artist? Get your foot in the door by volunteering for small projects so that administrations and teachers see the benefit of your offering. Future funding often follows. What is important for funders to know? It is important for funders to know that Teaching Artists provide experiences to the students that the class teacher needs support to craft. All class teachers are installation artists, but many have not been trained to embrace that role. 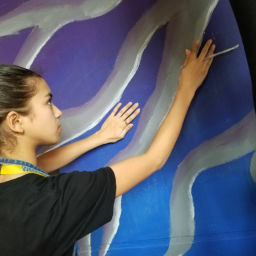 Teaching Artists model successful project-based learning, collaboration and experimentation, opening this possibility to teachers who have pressure to focus only on what will get good test results. We lead the way in developing the 21st Century skills of critical thinking, creativity, communication and collaboration. Much of the current school models are not preparing youth for the massive cooperation and creativity that is being demanded of us as global complexity increases. Teaching Artists are demonstrating what is needed. 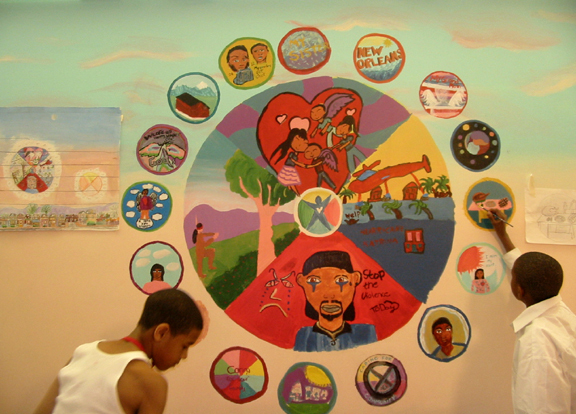 An example of Arts Integration: I worked as a Teaching Artist with Create Peace Project in a school in San Francisco. 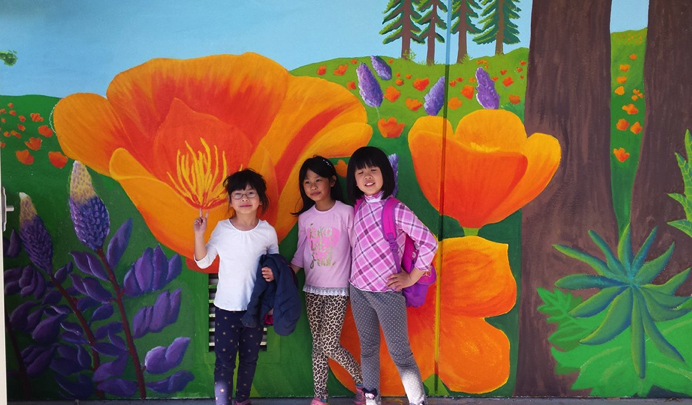 We celebrated the local eco-system and made an outdoor classroom that can be used by science classes. 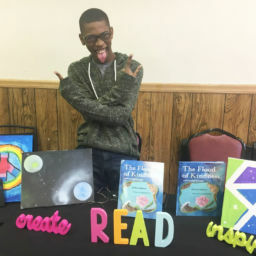 We also helped the students make use of art as a tool for peace building, since it increases self-awareness and connection to others. What are your ideas to open the path for new Teaching Artists? I have found that being a Teaching Artist lends a credibility for the students because they know that something hands on is coming. They know that action, skill, experimentation and creativity are coming. When I have a hard time making an inroad into a community, I persist in finding the administrators and teachers who are most receptive and ask what their greatest challenge is. I suggest a collaborative means of making a shared vision of success for that challenge. I get known through volunteering on small projects that have a big impact. 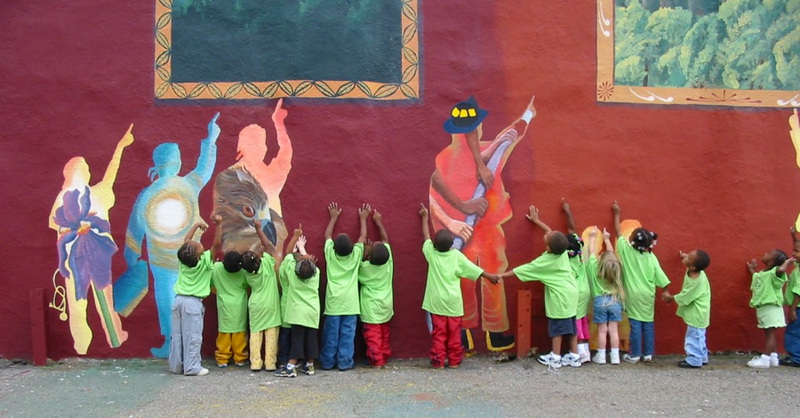 I also connect with inspiring Teaching Artist non-profits that have a network of clients, such as Create Peace Project and Sausalito Art Festival Foundation’s Artists Teaching Art in the Bay Area. I document my work, make a website, post on Facebook, let the world know of my vision and offer. You have learned a lot since you began. What have you discovered is relevant to your practice that you think will contribute to the learning of the entire Teaching Artist field? These principles have resulted in massive beauty pouring out of large groups of people. 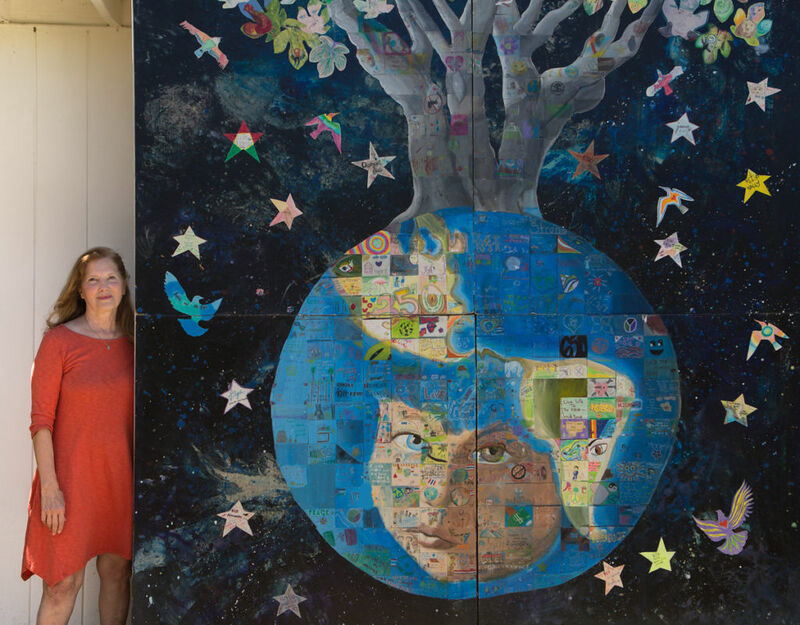 For instance, I’ve facilitated or helped others facilitate 45 Singing Tree murals with over 17,000 people from 50 countries. Listening to a child in 1999 who asked “What if the whole world made a painting together?” unleashed this series. I never know what the final mural is going to look like. I take responsibility for ensuring the unity of design and radical inclusion of the ideas that the students generate. I also take responsibility for making sure as many people as possible can benefit from the joyous creations of the students. This includes making books, videos, performances, posters and exhibitions documenting the projects. 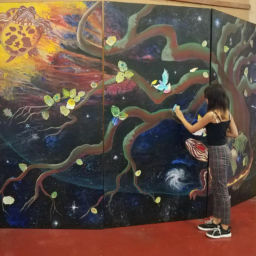 The portable mural is on exhibit at the school, went to the Bioneers Conference to be finished, was shown at the Sustainable Enterprise Conference and the Sausalito Arts Festival. 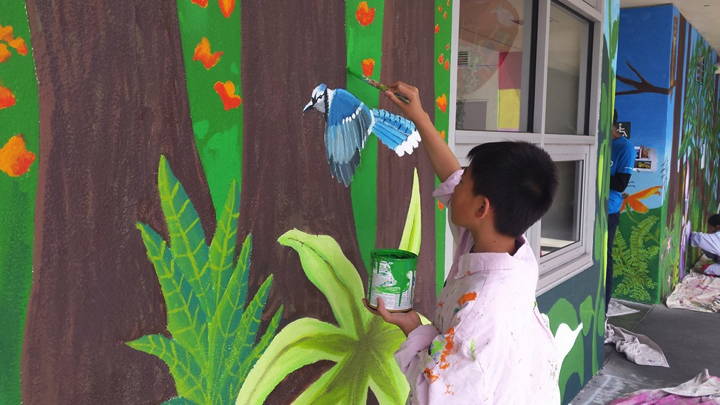 The high school students who made it felt proud of the exposure their art has received.